These sweet Amish Friendship Bread Cinnamon Apple Muffins are a perfect mid-morning snack for kids and adults! This recipe was submitted to us by Kitchen Friend Catie LaRocca. Thank you, Catie! These sweet Amish Friendship Bread Cinnamon Apple Muffins are a perfect mid-morning snack for kids and adults! In a large mixing bowl, add and mix all the ingredients until just blended. Pour batter evenly into muffin tins. Bake for 20-30 minutes until toothpick comes out clean. Mix together 1/2 cup sugar and 1/2 teaspoon cinnamon. 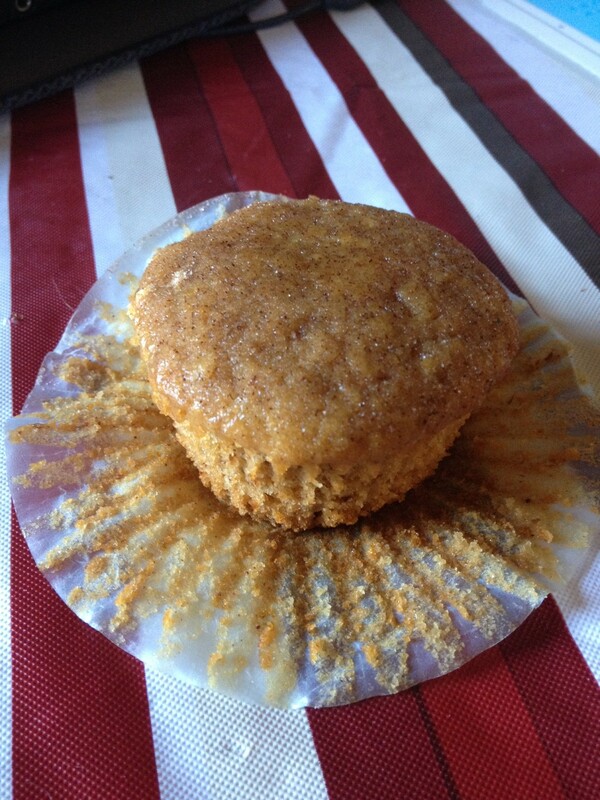 While muffins are still hot, but cool enough to handle, press muffin tops into cinnamon and sugar mixture. These muffins are great frozen and then thawed. Wrap each one individually in plastic wrap and freeze.